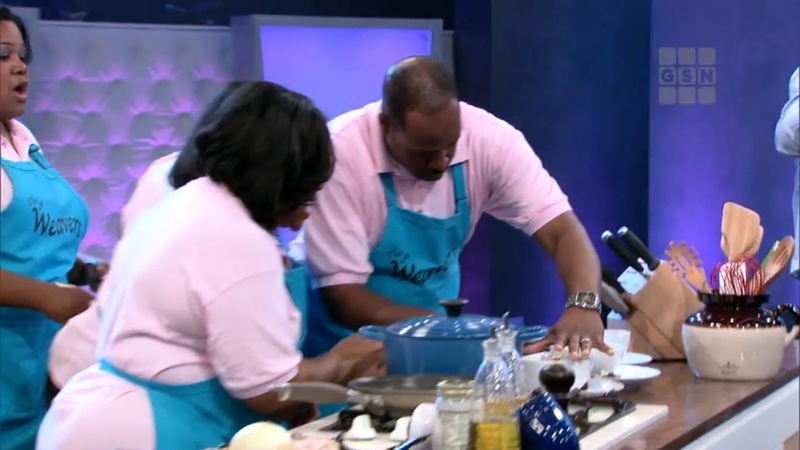 Premise- A team of three contestants compete against three professional chefs. Both teams will have two hours to prepare an entrée of the civilian teams choosing. Both teams will also be provided with the same ingredients needed to prepare their meals. At the end of the two-hour time period, both teams will present their entrées to the judges. If the judges prefer the civilians chefs’ meal over the professionals, the contestants will win $25,000. Otherwise, they will leave with a consolation prize of $1,000 in cookware. GSN is taking a big risk with this show and I don’t think it’s going to pay off. There’s nothing unique about this show that sets it apart from watching any other competitive cooking show on Food Network aside from civilian contestants competing against professional chefs (which I believe has been done before). 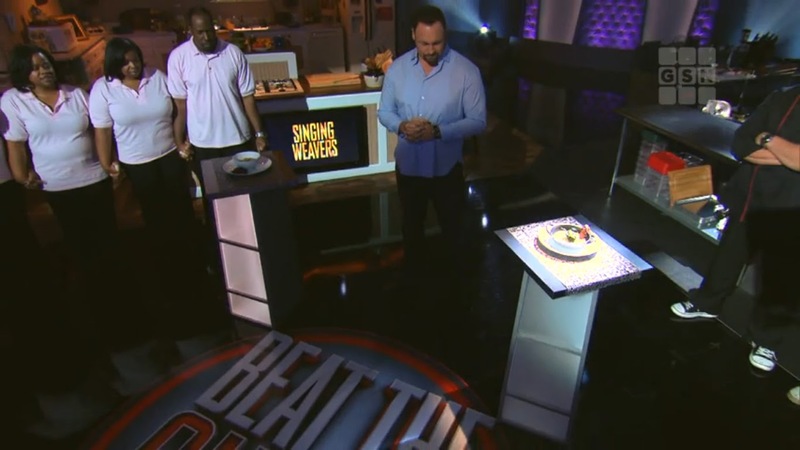 Beat The Chefs has more of a reality show feel to it and will only appeal to those who truly enjoy cooking or want to get some recipe tips, and I highly doubt they will turn to GSN to get their fix. If GSN really wanted to push this cooking game show, it should have been formatted similar to the Food Network game show, Taste Test. The show should include cooking trivia and quick five-minute recipe challenges instead of just two two-hour cooking challenges. As a host, Matt Rogers serves as more of a distraction instead of a host by talking to the contenders and trying to stir up “conflict” and “drama” while they are preparing their meal. I’m a little surprised that the show didn’t opt to use a couple of commentators announcing the play-by-play action, rather than the host intruding on the chefs’ performance. Overall, Beat the Chefs is simply Iron Chef combined with Pros vs. Joes. The only bright spots in the show are watching the civilian chefs take pride and excitement in their cooking and the contrasting professional and generic household kitchen sets on the stage. Other than that, watching people cook for an hour makes the show often difficult to watch without being tempted to change the channel. Furthermore, not announcing the winners of both culinary challenges until the end of the episode does not do the show much justice either. Withholding the winner of the first half competition is simply a gimmick to keep the viewers tuned in for the remainder of the hour-long show. If you are a fan of Beat The Chefs, enjoy it while it’s here because I highly doubt this show will be renewed for a second season. Watch new episodes of Beat The Chefs Thursdays at 9:00pm on GSN!